Growing up, Mike Brant’s adopted parents would sign him up for Korean day camps and youth groups, hoping to help him keep in touch with the culture of his birth. Those get-togethers meant seeing faces like his own, learning the history of his people – and eating a lot of food. Over the years, Brant learned to cook those foods on his own, inviting friends over to partake in mandus (dumplings) or japchaes (stir-fried rice noodles). 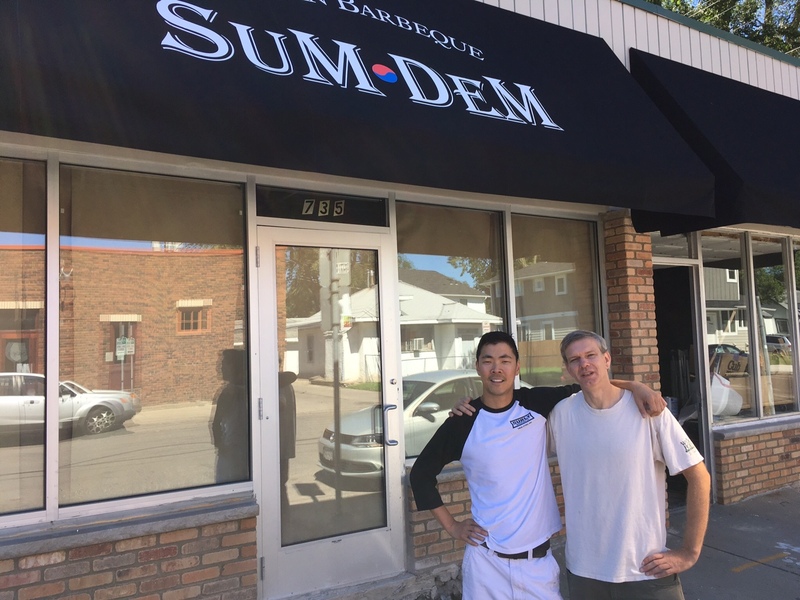 Now, he’ll be bringing his own version of Korean fare to his adopted neighborhood when he and partner Josh Crew (pictured above, left to right) open Sum Dem Korean Barbecue (735 E. 48th St., Mpls. ), a small takeout operation in South Minneapolis, later this month. Brant, who worked in restaurants for years, most recently as the sous chef at a Portland, Ore. restaurant, is re-entering the industry after 14 years in graphic design. Sum Dem will serve several kinds of Korean barbecue – including short ribs, pork ribs and chicken thighs – as well as dumplings, kim bop and kimchi pancakes, among other things, and will deliver within a restricted area. Eventually, Brant hopes to expand to a larger production with a license for wine and beer and gas burners installed at tables to allow patrons to barbecue their own meats. "My goal is to have a place where the neighborhood would be able to come in, sit down, have a local beer or a glass of wine and enjoy traditional Korean food as well as experience season products," he said.